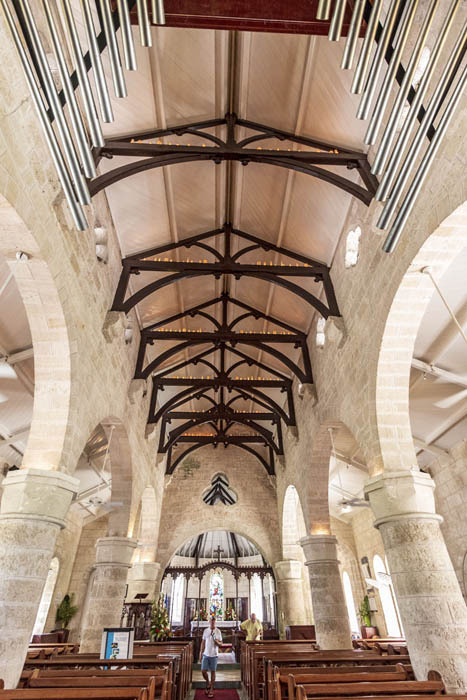 Caption: Inside view of St. James Parish Church in Holetown, one of Barbados' oldest churches. Comments: Inside view of St. James Parish Church. It is located in Holetown, Barbados. It stands on one of the oldest parcels of consecrated land on the island. One of the island's first churches was built here and churches have occupied this land since 1628.